Public Security Minister dismisses complaint by Joint List leader Ayman Odeh over his calling him a criminal and a terrorist supporter. The leader of the Joint Arab List, MK Ayman Odeh filed a complaint to the Knesset Ethics Committee against Public Security Minister Gilad Erdan. In response, Erdan wrote a letter to the committee attacking Odeh as a supporter of terrorism. "As someone who devoted many years to wild incitement against the security forces and the Israel Police and to support the lawbreakers, it is clear that MK 'Odeh has disqualified himself," Erdan wrote. "I am saying that he is a criminal and a supporter of terrorism, and I stand behind both statements. This is in view of a large number of events known to MK Odeh in the past in which he attacked police in various ways and he expressed support for terrorist activities and organizations." He also explained his remarks and added, "Last May, after the MK was prevented from visiting a detainee in the hospital, Odeh attacked the policeman and cursed at him, telling him 'you are nothing' in front of everyone. During the evacuation of the unrecognized village of Umm al-Hiran, Odeh participated in violent demonstrations against policemen who came to carry out their work, and confronted them. His complaint about alleged police violence towards him was subsequently closed in the Police Investigation Department. In addition, MK Ayman Odeh routinely supports illegal construction activities and attacks the Israel Police when it performs its duties in many other cases." "Last June, Odeh attended a conference of the Popular Front for the Liberation of Palestine (PFLP) terrorist organization to express solidarity with this lowly organization, after I issued a closure order against the incident. When the police arrived to evacuate the conference, Odeh continued to confront them. Even before this event, the Ethics Committee severely reprimanded Odeh after he accused MK Avi Dichter that when he was the head of the General Security Service he sent people to kill Arafat and many other blatant and violent accusations . He also visited the convicted terrorist, Marwan Barghouti, who is directly responsible for the murder of innocents, an act of moral indignity, which I criticized even then. There is no doubt that he also expresses support and identification with the actions of terrorist Barghouti. Minister Erdan noted in his letter that these are only a few examples of Odeh's violence towards members of the security forces and real support for terrorist organizations and collaborators. He added that, "As Minister of Public Security in charge of the Israel Police, I can not hide an eye and pass his attacks and actions in silence." 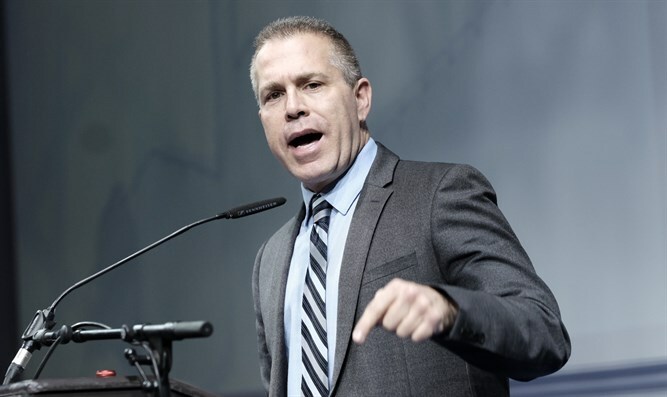 "I expressed myself against these events at the time, and I will continue to raise the public's hard actions against the Knesset and head of a party in Israel, because they constitute delinquency and real support for actions that endanger the general public," Erdan concluded. The complaint was submitted by Odeh after a heated confrontation between the two in the Knesset plenum two weeks ago. MK Odeh turned to Erden for a motion on the agenda regarding violence in Arab society and demanded that "Minister Erdan, stand here and say, 'I failed.'" The minister said in response, "You are a terrorist, a supporter of terror and you can not talk, your place is behind bars." "Resign, this is a shame, resign," Odeh shouted at Minister Erdan and called on MK Revital Swid, who was in charge of the meeting, to remove Erdan and to denounce him. Erdan did not give up and continued, "Anyone who calls the police 'nothing' is a criminal and a supporter of terrorism." The committee chairman asked Erdan to apologize and he answered her, "Madam, if Odeh has a complaint that he will complain in the relevant place."